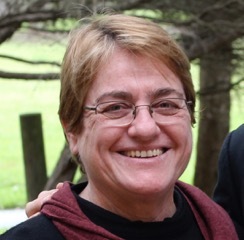 Closeted bureaucrats determine outcomes for the most vulnerable communities and any real participation by these communities is impossible says Julie Spies as she reflects on changes in the community sector since the 1970s. It’s time – 1972 – it seems people have had enough. People take to the streets. This momentum of people power moves to changing the entrenched beliefs that preserved the inequalities of the status quo by presuming the notion of the rights of class and privilege. There was mass movement – the moratorium saw the withdrawal of troops from Vietnam. There were new conversations about bringing about equality, and dialogue opened up. Free tertiary education was made available – bright working class kids found their way to achieving ambitions that would previously have been out of reach for many. Free universal health care improved the health of workers and their families. But there were other conversations – conversations that would, for example, change the situation for many marginalised, poor families; bringing about a level playing field and, most importantly, this conversation included the working class. In 1975, amidst the backdrop of this wave of change, the residents of Douglas Street Redfern took over an unused block of land to make a playground for the 80+ children living in the street, to keep their kids safe. This was an extraordinary event. Local community services stood beside a disenfranchised community supporting, advising, encouraging. It was the residents, who after years of pointless consultations took the matter into their own hands. Workers from the Australian Assistance Plan (AAP), Inner Sydney Regional Council for Social Development, South Sydney Community Aid, architect students from Sydney University and Redfern House – Community Health stood with residents to change our situation. The Douglas Street People’s Park was born… and it, albeit smaller, remains today. But more importantly people’s lives were changed and community emerged. In the time since the 1970s the rhetoric seemed not to have changed so much with the emergence of middle level bureaucracy and the language of double speak. A perfect response by bureaucrats dilutes and defuses unorthodox situations by co-opting the language of the working class. So when they now talk about concepts like community capacity we indeed experience the opposite. Vulnerable communities become further isolated with the weight of a huge bureaucracy burdening them with voluminous and infinite paper work. The job of a community worker moved from working with the community to the management of paper. The second and fatal effect of this transition ensures that the very people this system is trying to serve has made it impossible for them to participate and any real involvement in delivering outcomes has collapsed. Now the sector relies on suited men and red lipsticked women driving measured responses about how the sector delivers and more importantly what services are delivered. As this process continues, we watch as a few closeted bureaucrats determine outcomes for the most vulnerable communities, relying on statistics, decisions made in a void, without any community reference and input. This process is further marred by the erosion of the noble ideal of creating a level playing field. The concepts of universal health, education and housing revert to being a prerogative of privilege rather than a right for all. We watch these services being strangled through privatisation. Kooloora Community Centre is a small, modestly funded multifunction neighbourhood centre. Although situated in the more affluent eastern suburbs, the South Ward is traditionally seen as the poor relation to the wealthier and better resourced suburbs in Randwick. Kooloora has always been committed to ensuring equitable outcomes, believing that people in disadvantaged communities have different needs and ways of responding to a diversity of situations, and this must be recognised in the operation and delivery of programs. So, as our community watched families struggle in this hostile environment, we came up with a plan for the community to take responsibility for supporting vulnerable and at risk families. It was simple and its simplicity won the ear of funders, but at this stage there wasn’t any ongoing money available. But perhaps it was worth a try. A pot of untargeted money was identified – not much, but enough. The plan might work. Firstly we identified people within our community who would be willing to be trained, screened and then act as carers with our partner Barnardos. Our aim was to create an informal support system within our community to ensure children could safely remain within their community. We did this by initiating a respite and support scheme for families with Barnardos. Families were also supported through other Kooloora instituted programs e.g. Veged Out (our fruit and vegetable co-operative) and supported play groups. Kooloora employed a community worker and a counsellor, and within a year 22 families were being supported. The program cost $75,000. A year later and there was no money. We weren’t defunded – just not given any more, and the program crumbled. Kids were removed. Families and community fractured. Now what’s the cost of not finding that small amount of money for a project that worked? Even if we speak in the financial language of the suited ones, the cost to support these kids in care alone has trebled. Then there is the intergenerational cost – and not just the measureable financial cost to the state. The effect of damage to the taken children, their families, and the neighbourhood will manifest itself in our children’s time. Hopefully our children will recognise what we did not, and take with them the lessons of history and know again…IT’S TIME. Reflections when leaving by Julie Spies after standing with the Kooloora Community for a lifetime.